How Can an Access Floor Help with ADA Compliance? It’s been more than twenty five years since the Americans with Disabilities Act (ADA) went into effect. Since 1990, the ADA has been changing the way that public spaces are structured. 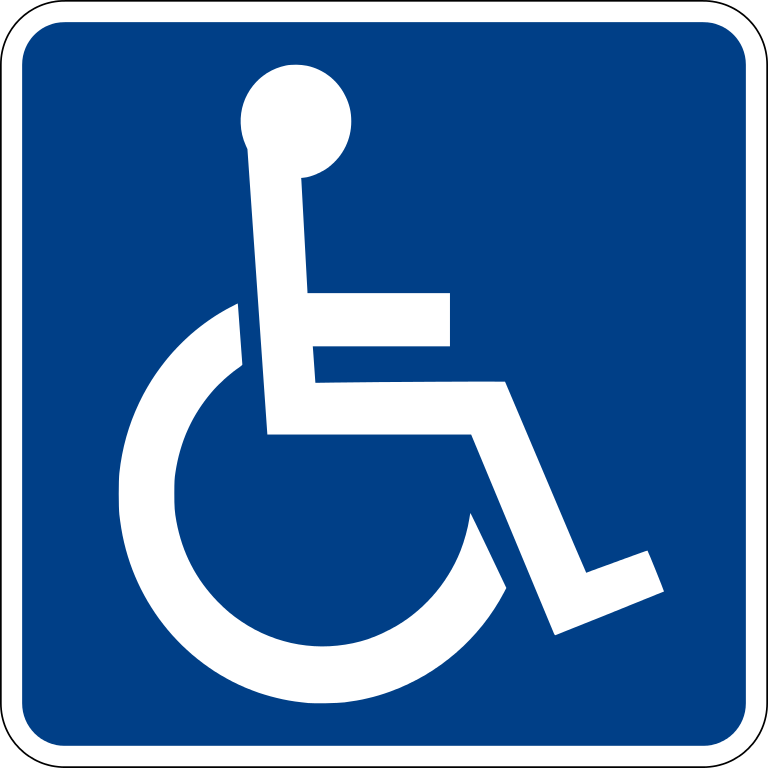 Thanks to the ADA, disabled people are able to enjoy a quality of life which is comparable to that of their non-disabled counterparts. Even though the ADA has been in existence for some time now, it is really a work in progress. Each year, revisions are made to ADA accessibility codes, and keeping up with them as a business owner or structural designer can be an ongoing chore. Maybe right now you are planning the development of a new office building. Or perhaps you are looking into upgrading your existing workplace to achieve full ADA compliance. Either way, you have a big task ahead of you, and one of your many challenges is figuring out what to do with all your wires, cables, and pipes. One great starting resource for accessible office design is the Office of Compliance Fast Facts Sheet. This simple checklist provides clear, concise instructions on office doors, walls, floors, and more. While it is not a comprehensive document, the instructions are at least in plain English and focused exclusively on office buildings. You can however find more in-depth directives in the ADA Standards for Accessible Design. Neither of these resources specifically delves into the issue of wiring, but you will find references in each to wheelchair accessibility. The Fast Facts Sheet for example mentions that office carpeting should be firmly affixed to the floor with a pile of less than one-half inch. Anytime you have an obstruction on the floor, you are creating an obstacle for a person in a wheelchair. As an able-bodied person, on foot, you can just step over a cable, but a wheelchair-bound person doesn’t have this option. Rolling over obstructions can be annoying at best, difficult or impossible at worst. No one should need to exert an unnecessary amount of force just to cross over top of a cable or hose in your office. Plus, when cables and wires are not taped down, they pose additional hazards for workers in and out of wheelchairs. What are your options for getting these cables, pipes and wires out of the way and getting ADA-compliant? Reroute the cables entirely and get them off of the floor. Obviously this could be extremely difficult, and may in some cases even be impossible. Check out this post which covers different ways to manage cables. Opt for an ADA-compliant cord protector. This is a structure with channels which lies relatively flat on the ground and maintains a fairly low profile. You run the cords through it. The top is smooth, and allows a wheelchair to cross. The downside to this is that cable protectors don’t look very professional, and they can be tripping hazards. Cord protectors degrade over time, due to physical wear as well as exposure to light. Cover cords with access ramps. Some people choose to cover their cords with actual wheelchair ramps. Of course, this only makes sense if you actually are in a space where you need a ramp. Otherwise, the ramp is simply in the way. Run your cables under the floor and get them completely out of the way. If you want a floor with a low profile, nothing beats no profile. A product like our Netfloor USA raised access floor systems allow you to take care of your accessibility problems once and for all. Built-in cable raceways make it easy to organize your cables, and easy access panels let you reroute wires at any time. There are no ramps, no bumps, no loose wires, and no other obstructions that could possibly get in anyone’s way. Best of all, you can integrate our cable access floor into any existing building design. If you’re a bit unfamiliar with access flooring, check out our post which covers the basics; it’s a great place to start. If you'd like some more info on low profile, cable management flooring, we've got another great post for you. ADA-compliance is mandatory by law, but it’s also the right thing to do. Your workers are the people you depend on, and you owe them a comfortable, safe working environment, whether they are in or out of a wheelchair. At Netfloor USA, we’re committed to creating inspiring spaces that are safe and convenient for everyone. Wires, pipes, and cables pose an ongoing hazard until they are safely stowed away. If you are ready to get compliant with your facility, give us a call today at 1-844-NET-FLOOR (638-3566) to discuss your project! If you've spent any amount of time on our website, seen our product brochures, specifications or been to a site with our products installed, you already know the great product benefits that we offer like: cable management, ease of install, easy redeployment/reconfiguration and environmentally-friendly products. Netfloor USA has developed several new ramp products with a slope so gradual, it's not even considered a ramp by the ADA. But there's more to an access floor than the product itself. In fact, we feel the product should take a back seat to the overall design and execution of the project as a whole. Does the product, design and installation meet the needs of the customer? One of the many areas that Netfloor USA has been changing the industry is in our ramp design. Standard ramps have a slope of 1:12, which is a standard mandated by the ADA (Americans with Disabilities Act). Chances are, if you've been on a ramp, it's slope is 1:12. That means that for every 12 inches in linear travel, the ramp gains 1 inch in height. And that type of ramp, with a standard slope or gradient of 1:12, works well in many scenarios. Select one of our custom handrails for the ramp, and you have a strong, robust ramp that is accessible to anyone. If the access floor is 12" or higher, the visual cues, along with a handrail, quickly let visitors know that a ramp is ahead and they adjust accordingly. But many of our customers are choosing ultra-low profile floors that are, in many cases, only 1.5" high. Many of these installations are in high end facilities where a handrail is not wanted and a visible ramp slope interfers with the overall aesthetics of the space and flow of customer traffic. Netfloor USA has developed several types of ramps with gradual slopes never seen before in the industry. These ramps allow several types of ramp design, from straight ramps to curved, fitting any floor layout and design. Check Out This Video of Netfloor USA's Access Floor Ramps. From Basic Design to How They're Installed; It's a Great Video! Traditionally, the access floor ramp has been a "choke point" where traffic must be funnelled. But in today's demanding marketplace, facility operators can not simply funnel traffic. Wide open expanses and flowing pathways enhance overall visitor experience, and Netfloor USA's new ramp systems provide the ultimate in design flexibility. So regardless of the application, whether it's for a TV broadcast newsroom, a retail store, a library, office space or data center, we can work with you and your design team to create a floor that is both functional, as well as easy to use.